After 43 years, how does one keep the Red River Revel the most popular festival around? When you have more than 100 artists, 60 performing musicians and delicious food, it's a piece of cake – funnel cake, that is. 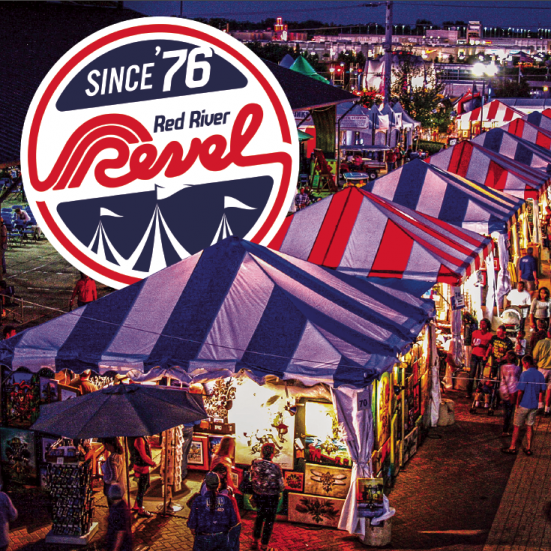 This year’s Red River Revel runs from Sept. 29 through Oct. 7 in Festival Plaza, downtown Shreveport. Even though today’s society is very fooddriven, it takes more to keep bringing the more than 120,000 festival-goers back each year. And Red River Revel delivers. It’s been almost 20 years since the festival moved from Clyde Fant Parkway to Festival Plaza. With that move, Stone said, the Revel grew even more. “On Clyde Fant, we were so restricted with what we could do, whether we had a water source or electricity,” he said. “But when the Plaza was built, we were able to, along with other festivals, give our input on electrical and water needs and tie-downs, and made it better where we were able to expand the festival. We weren’t having to spend as much money on getting the necessities here. “When we put in the two pavilions, obviously, that was a money-saver for a lot of us, as well,” he continued. This year, with a budget of more than $1.2 million, the Revel board is working with two stages of musicians and dance groups, 22 total food vendors, 19 of which are nonprofit organizations and professional artists that were specifically chosen. The panel changes each year, providing different input as trends change, he pointed out. “That allows us to evolve from one year to the next,” he said. Vendors will feature oils, acrylics, sculpture, jewelry, woodwork, glass, metal and much more. Festival-goers can buy a unique piece of art and talk to the artists about their craft. Some artists will switch out mid-week. One evolution this year includes Altervision 3D, a visual art tent structure black-light exhibit from California. To keep the Red River Revel a familyoriented festival, the board has revamped pricing, Stone said. The board did the same for children’s activities, he said. “Whether it be face painting or sand art, we asked for a three-dollar option, so that everybody has a chance to participate," he said. "If they are not free, they have a (lowerprice) option." There is an entire area exclusively for children’s activities, complete with its own performance stage. Children of all ages can show their artistic abilities by creating art projects at the Junior League of Shreveport/ Bossier’s Artist for a Day. A favorite among young Revelers is the mock geological dig, where children make “anthropologic discoveries” without ever leaving the Revel site. Another favorite is the Brookshire’s Mini Grocery Store, where children shop with kidsized carts and “purchase” a variety of items that can be found in local Brookshire’s grocery stores — they have a blast playing “parent” and shopping for their family. 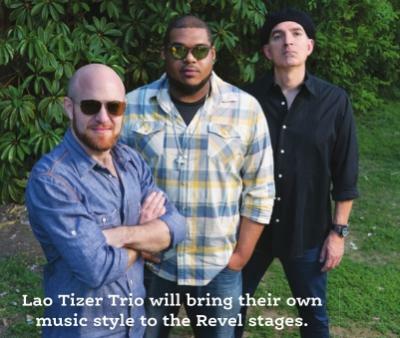 The Red River Revel has a long history of bringing talented performances to Shreveport. Thousands of people come every year to see these performances by artists who often go on to become chart-toppers and living legends in music on two stages. 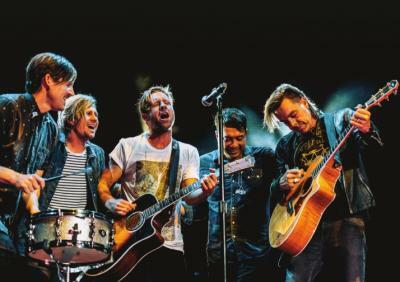 This year’s line-up includes Michael Ray, The Afters, Midnight Star, Celtica Pipes Rock!, Knox Hamilton, Switchfoot and Lao Tizer Trio among many others. The board is also proud to announce a new parking area for the Revel to accommodate the crowds. • Tuesday - Thursday: 4 p.m. - 5:30 p.m.
• Friday: 11 a.m. - 5:30 p.m.
• Tuesday - Friday: After 5:30 p.m.